Those fries are amazing! I often snack on nuts as an easy and nutritious grab and go snack. 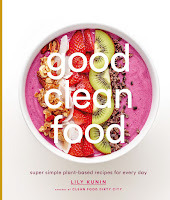 I might have to try this new-to-me cookbook just for the Walnut Orange Globes! 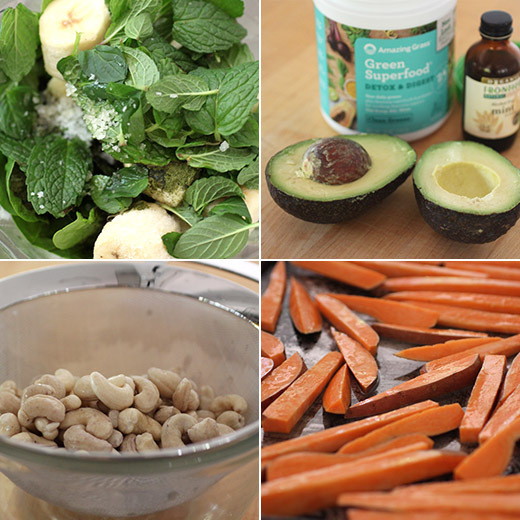 Both look delicious Lisa, I like that idea of mint in the shake and i have never had cashew dip...great recipes! Love the color of the smoothie Lisa, and I love, love sweet potatoes fries. Looks like a great book. That shake looks awesome! And I LOVE sweet potatoes, and they make great fries. Fun post -- thanks. both of these items are so appealing to me. 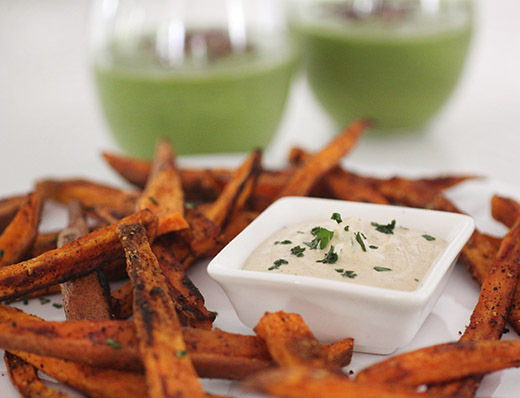 i love sweet potato fries and appreciate the look of yours, and the sauce sounds perfect. 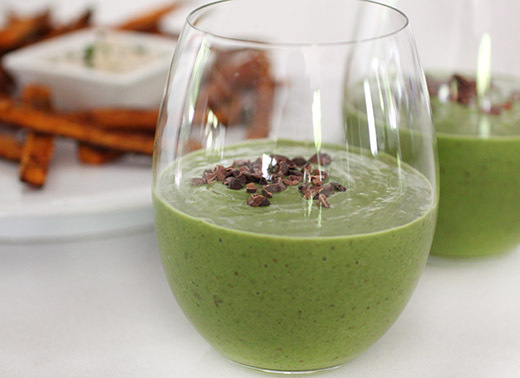 the shake is interesting and i'd be delighted to try such a tasty alternative!